1. Feature to Save Card Details – If a merchant has enabled this feature for his/her customers, they get the option to save the card details. The next time customers proceed to the payment gateway, they can simply select the saved cards option, enter CVV and in a single click complete the payment process. 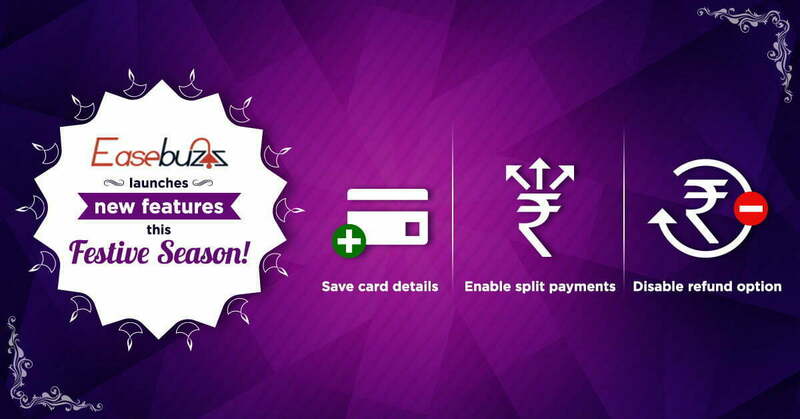 A one click solution to all your hassles related to entering card details time and again, isn’t it? 2. Feature to enable split payments – Many-a-times merchant requests payouts to be done in 2 separate accounts. For example, an educational institute wants the admission fees to go into a separate account and the hostel fees in a different one. Both the accounts though, are under the same name (that of the merchant). In this scenario split payments ease the task for your merchant by automatically transferring the amount in the two separate accounts. The tedious task of sorting payments in the back end is simplified. Our payment gateway handles it for you while you stay happy and stress-free of the mundane job of handling accounts. 3. Feature to disable refund option – If you feel the refund process is tiresome and the internal processes may lead to difficulties, you can disable the refund option. Whenever you feel the requirement, a simple communication will help you enable the feature. The payment solutions industry thrives on innovations and development. The more user-friendly the features are, the better the service. We, at Easebuzz constantly try and improve our product to provide the best of the features to the merchants. Hence, we constantly upgrade our payment gateway and services provided to ensure customer delight and satisfaction. Please do write to us on sales@easebuzz.in for any further information or enquiries.